The Strategic Research Agenda (SRA) is the key document of ERTRAC to prepare the next European Research Framework Programme. The last version was published in 2010 in preparation of the Horizon 2020 Programme. This new version is meant to support the development of the 9th EU Framework Programme (FP9): therefore, it provides Innovation challenges and Research and Development topics for the timeframe 2020-2030. 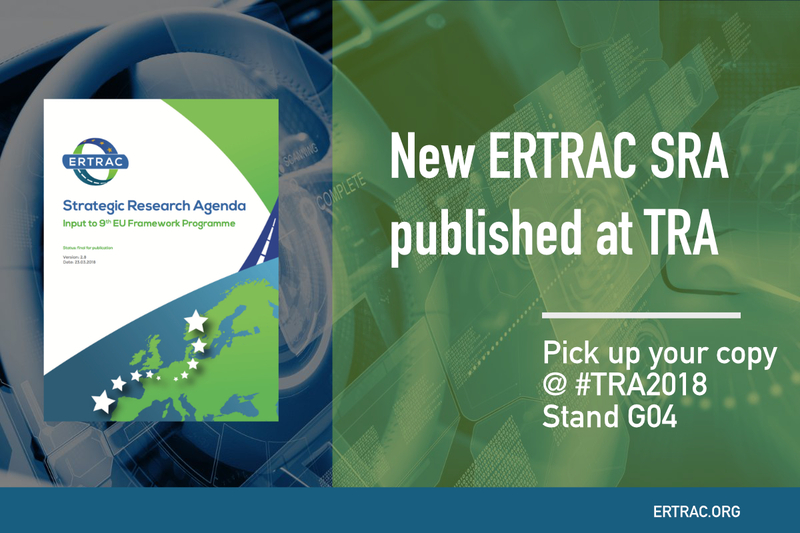 While #TRA2018 is unfolding from 16 April to 19 April, hard copies are available on ERTRAC booth (G04). Check where we are located on the map available on TRA website. Otherwise you may download it from our Strategic Research Agenda and Plan section.